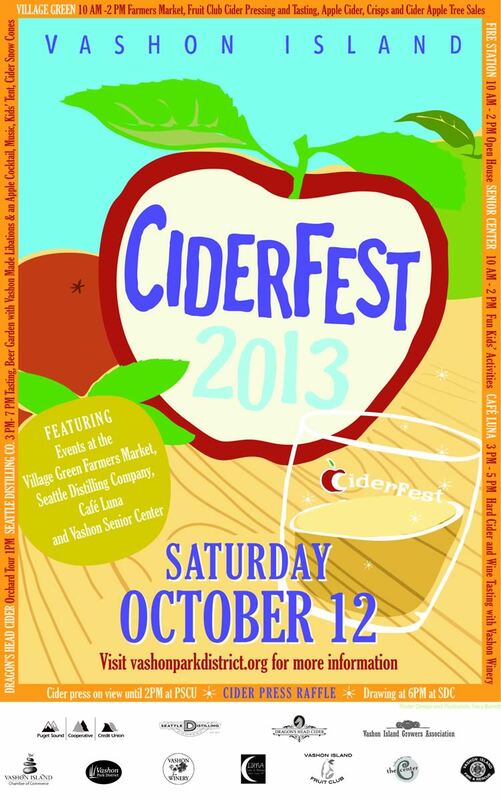 Vashon Cider Fest 2013 — Whitewood Cider Co.
CiderFest 2013. Vashon Island celebrates Fall and all things apples including apple juice pressing, apple crisps, apple IDing, orchard tour, cider tasting, and all kinds of activities for kids. Cider tasting is at Café Luna, 9924 SW Bank Road, Vashon, Washington: 3-5pm, $10. Taste up to a dozen ciders offered by six cidermakers; all from Washington State; all using fresh apples without any flavorings added.